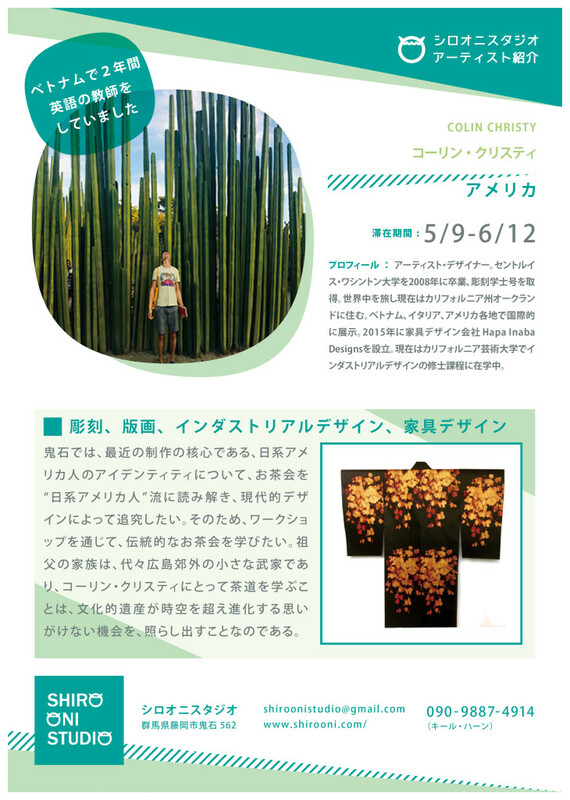 Colin Christy is a fine artist and designer who received his Bachelors of Fine Art in Sculpture at Washington University in St. Louis in 2008, He has lived and traveled all over the world, and currently lives in Oakland, California. He has exhibited internationally in Vietnam and Italy, and nationally across the USA. In 2015, he started a successful furniture design company called Hapa Inaba Designs, and is currently pursuing his MFA in Industrial Design at California College of the Arts.